A Masters in Pathology from India and PhD from California University, USA in 1965 -the stalwart entrepreneur worked in US for five years before returning to his motherland with a mission to manufacture much required vaccines to prevent communicable diseases. It was a period when substantial foreign exchange outflow impinged on economic scenario in the pharma turf, especially for import of vaccines. 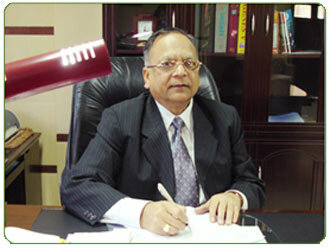 Taking this into account: the visionary Dr. S.P Garg founded Bio-Med (P) Limited. The highly skilled entrepreneur Dr. Garg has rightly been awarded with the Bharat Udyog Gold star- 1996 and Udyog Shiri- 1990 for his contribution to health of human and livestock.